Do you put away your camera when it starts raining? You don’t need to. 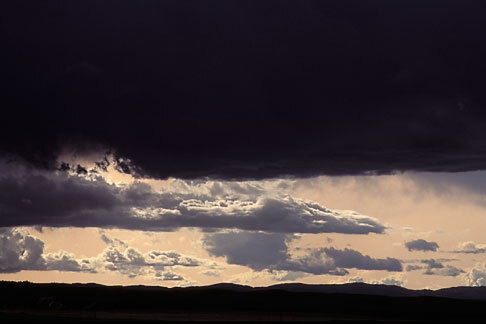 Some of the most dramatic scenery comes when the heavens open up and the storms roll in. Rain on San Francisco Bay, like these brooding black clouds over Mount Tamalpais, can rapidly give way to swirling mists and rain as storm fronts roll through quickly. 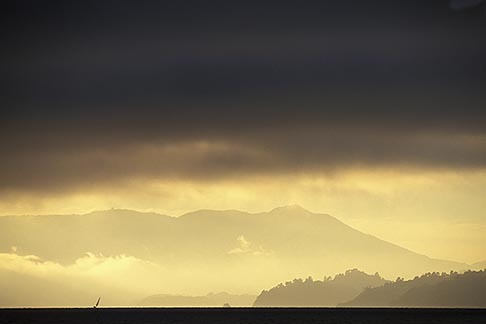 Here a solitary sailboat takes advantage of a squall off Angel Island. Driving down I-505 in California’s Central Valley in a rainstorm I could see on the eastern horizon a shimmer of light on the horizon. Stopping the car and setting up my tripod I watched as light from the yellow setting sun tried to pierce through the fierce black and foreboding cloud cover. Feel free to add links to your own storm images in the comments, and next time it rains, remember to shoot. Great article. When I travel to the Caribbean I am amazed at how beautiful the clouds are. I am not sure if they are actually different than NYC or if it is because I am more relaxed and appreciating the clouds more. Here a link to an example from Cozumel, Mexico.